Did you know that Victoria has more restaurants per capita than any other city in Canada? With those kind of statistics, you better believe there are a whole lot of patios to enjoy over the summer months! With downtown Victoria’s historic architecture and scenic harbour, there’s nothing like having a drink and enjoying the food we’re so famous for without having to leave the beautiful outdoors. The Lido Bistro is right outside the Victoria Regent overlooking the inner harbour. 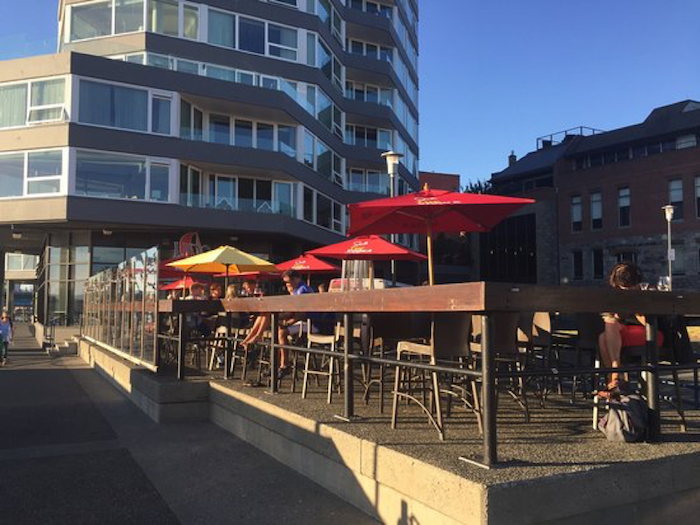 Surrounded by the harbour on three sides, the patio provides incredible visibility for watching the comings and goings while enjoying more hours of direct sunlight than many other patios around. Tourism Victoria also came out with a patio guide for the summer, which can be found here should you want to read up on a few other recommendations! Need directions? Our friendly concierge will happily point you in the right direction!